Esteemed medical geneticist Judith G. Hall, MD, FACMG, is the recipient of the 2018 ACMG Foundation for Genetic and Genomic Medicine's David L. Rimoin Lifetime Achievement Award. Dr. Hall, 78, professor emerita of pediatrics and medical genetics at the University of British Columbia, was honored for her role in helping to establish medical genetics as an accredited clinical specialty, as well as for her groundbreaking research and teaching on the natural history of human growth and connective tissue disorders, including dwarfism and arthrogryposis, a crippling joint-mobility condition that affects 1 in 3,000 babies. "The David L. Rimoin Lifetime Achievement Award is intended to recognize individuals who have demonstrated the personal characteristics of empathy, compassion, and mentorship, in addition to having made major scientific contributions to medical genetics," said Dr. Bruce R. Korf, FACMG, president of the ACMG Foundation. "Dr. Judy Hall is an exemplar of these ideals and has been a longstanding leader in the medical genetics community. We are proud to recognize her accomplishments and contributions as the second recipient of the David L. Rimoin Lifetime Achievement Award." Dr. Hall's work in medical genetics spans more than half a century. She has mentored 40 medical genetics fellows; written more than 300 research articles, 12 books, and 104 book chapters; served as a founding member of the American College of Medical Genetics and the Canadian College of Medical Genetics; served on editorial boards and as reviewer for numerous prominent research journals; and currently serves as a senior editor for the American Journal of Medical Genetics. "She really is one of those pioneers, like Dave Rimoin, who have guided our profession from its embryonic stages," said Dr. John C. Carey, professor of pediatrics at the University of Utah. "She helped transform genetics from a strictly laboratory science into a mainstream specialty in medicine, and she's reframed key concepts in genetics–natural history of genetic disease, non-traditional inheritance, and fetal determinants of adult health–so that they came to the forefront and have now become part of regular conversations in the clinic." The news that she had received the Rimoin Lifetime Achievement Award came to her as a surprise and an honor, she said, explaining, "A friend had asked for a copy of my CV, but I had no idea it was for this!" Then, she described her memories of the late Dr. David Rimoin, who served with Dr. Hall as a founding board member of the American Board of Medical Genetics (ABMG) and for whom the award is named. "When I was at Johns Hopkins as a fellow with Victor McKusick, I inherited Dave's office, so I have felt aware of his presence from the beginning of my work in clinical genetics," Dr. Hall said. "And he was such a remarkable visionary about what needed to happen to make this a legitimate medical specialty. He just knew what to do–what processes we had to go through. This award makes me think about those days and how hard Dave worked, and how those of us who were elected to form the board had an incredible collegiality. We were going to do something historical, and sure enough, we really did!" Beyond her long list of academic achievements and leadership positions, which include serving as president of the American Society of Human Genetics and the American Pediatric Society, the nominations for Dr. Hall to receive this award stressed her enthusiasm and charisma, qualities that have inspired generations of patients, families, and fellow clinicians. "I don't think there's anybody in genetics today who has had a more sustained commitment to studying the natural history of genetic disease," said Dr. Cynthia Curry, professor of pediatrics emerita at the University of California, San Francisco, and a practicing geneticist in Fresno, California. "There aren't many people who are doing that these days. She's just a giant in the field." "She is the model of a successful medical genetics physician," wrote Dr. Suzanne B. Cassidy, FACMG and clinical professor of pediatrics at the University of California, San Francisco, who trained with Dr. Hall during her medical genetics fellowship at the University of Washington and now specializes in Prader-Willi Syndrome. "She showed me the importance of connecting with family support organizations for genetic conditions, not just to gather knowledge and recruit patients for research, but also to educate an eager but medically unsophisticated group to understand the condition that affects them and to help them advocate for themselves in the medical and governmental world." "There is no question that David would be delighted with the committee's choice to select Dr. Judith Hall as the recipient of the David L. Rimoin Lifetime Achievement Award," said Dr. Ann Garber, David Rimoin's surviving spouse. "In addition to her vital contributions to the field of connective tissue disorders, Dr. Hall is well known for her dedication to her patients and students. As a natural leader, she was a vital member of the team that transformed the field of medical genetics to become a recognized medical specialty. Judy and David were friends and colleagues throughout most of David's career and our family is proud to honor Dr. Hall with this award." Judith Goslin Hall was born into an academically minded family in Boston in 1939. Both of her parents had completed college, and her father's career as a liberal congregational minister moved their family of five children every few years, first to New Hampshire, then to Illinois, and finally to Washington state, where Hall attended high school in downtown Seattle. "My mother is the one who got me interested in biology," Dr. Hall said. "She was a housewife, typical of the time supporting her husband in every way, and she often raised chickens, had a garden, and was particularly interested in birds and insects…My father always expected me to do what my older brother did, so even though I was one of only 5 women in my medical school class of 75 students, it just never occurred to me that I couldn't do it." As the medical implications of genetic research were beginning to emerge during the late 1950s, Dr. Hall had her first exposure to genetics at Wellesley College, where she was studying undergraduate zoology. "One of my teachers was not the sort of person to normally make you feel excited about biology," Dr. Hall recalled. "But she went every summer to Indiana to do genetics research with bacteria that developed drug resistance, and whenever she talked about genetics, she just brightened up and sparkled and was so incredibly enthusiastic." Hematologist Dr. Arno Motulsky, FACMG, established one of the country's first medical genetics departments at the University of Washington School of Medicine during this period, and when Hall enrolled there as a medical student in 1961, she was the first student to take his medical genetics elective course. "It was absolutely amazing," she said, noting that the hour a week she spent with Dr. Motulsky led her to take an extra year in medical school to work on a masters degree research project growing bone marrow cells that produced fetal hemoglobin. Reflecting on that time in her medical training, she said, "I absolutely loved working in the clinic. I have huge respect for people who do lab work, but I realized during that year that the lab wasn't for me." Instead, Dr. Hall said she began to see the clinic as her laboratory. "We should be learning from every single family that we see," she explained. "Families want to know what's going to happen over time and what they can do to prevent problems or degeneration. And to me, that's one of the most interesting parts–to understand how genes work within the complex physiology of the human body. The clinic is a laboratory because it's the place where you record that kind of information." Dr. Hall became interested in patients born with growth disorders after she moved to Johns Hopkins University in 1967 for her fellowship with leading clinical geneticist Dr. Victor McKusick, who invited her to carry forward Dave Rimoin's research on growth hormone deficiency and dwarfism. She completed fellowships in pediatric endocrinology and medical genetics at Johns Hopkins. 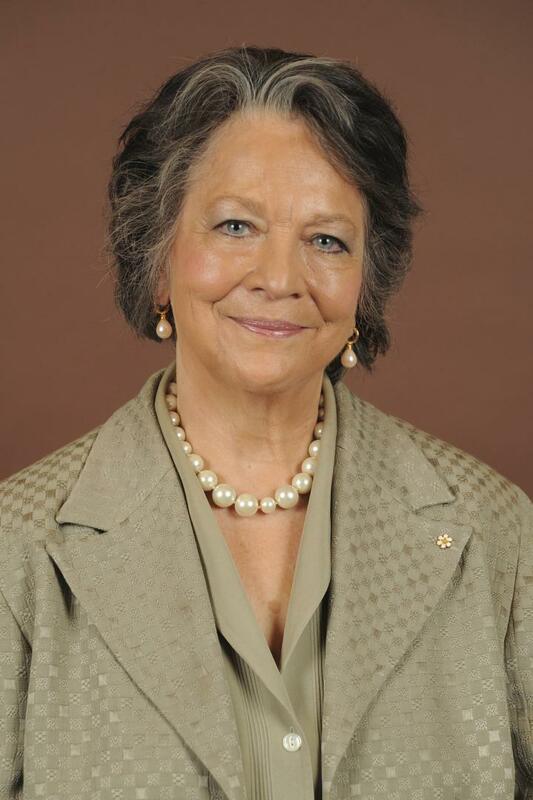 Over the course of her career, she went on to define the genetic causes and developmental pathways of multiple subtypes of dwarfism, bone dysplasias, connective tissue disorders and arthrogryposis, including two syndromes that bear her name: Pallister-Hall syndrome and Sheldon-Hall syndrome. "I think my interest in congenital anomalies came from the fact that I am a woman," said Dr. Hall, herself a mother of three children. "You realize how devastating it is to families and moms to have a baby affected by these conditions. It was kind of a distasteful subject to men back in the 'Dark Ages' of our profession, but it was happening, and I wanted to learn why it happened and what we could do to help." She accepted a faculty position at the University of Washington School of Medicine in 1972 and spent the next decade establishing the University of Washington's first medical genetics clinics and patient outreach program for the region that included Washington State, Alaska, Montana, and Idaho. Then, in 1981, she moved to Vancouver for a tenured professorship at the University of British Columbia. Dr. Hall remained on the research and teaching faculty there for the next 25 years, working internationally with the International Human Genetics Federation, the International Pediatric Association, and with colleagues in North America to establish the ABMG and the ACMG to have medical genetics recognized by the American Board of Medical Specialties. The University of British Columbia awarded her emerita status in 2005 and an honorary degree in 2017. She continues to produce several papers a year on birth defects and new editions of her books. Dr. Hall is widely recognized as the leading expert worldwide in diagnosis and management of patients who have arthrogryposis. Though she is retired from most of her previous academic and clinical roles, she continues to see patients in the arthrogryposis clinic that she founded at Seattle Children's Hospital. She also co-wrote The Handbook of Normal Physical Measurements (published by Oxford University Press in 1989, now in its third edition) in order to have standards for physical features. She was among the first to describe the natural history and write clinical guidelines for genetic diseases, which enabled patients and families affected by these conditions to anticipate changes ahead. When support and advocacy groups were beginning to organize in the 1970s and 1980s, Dr. Hall was among the first clinical researchers to collaborate with them, a move that was unusual for medical geneticists at that time. Her commitment to patients and their families is one of the qualities for which Dr. Hall is most celebrated. It's also one of the things she said she has enjoyed the most during her career. "It's just such a privilege, really, the interaction and the trust that families give you; that I have had the right to ask questions in order to understand their situation, and then in the course of genetic counseling to take all that is known at the time and give them the variety of options that are available, ways to solve their challenges based on what other people have done, what worked and didn't work," she said. "I continue to learn so much from affected individuals and their families in my laboratory–the clinic." The David L. Rimoin Lifetime Achievement Award is the most prestigious award given by the ACMG Foundation. A committee of past presidents of the American College of Medical Genetics and Genomics selects the recipient following nominations, which come from the general membership. The ACMG Foundation for Genetic and Genomic Medicine (ACMGF) is a community of supporters and contributors who understand the importance of medical genetics and genomics in healthcare. A non-profit organization established in 1992, the Foundation supports the American College of Medical Genetics and Genomics (ACMG) mission to "translate genes into health"; to foster charitable giving, promote training opportunities to attract future medical geneticist and genetic counselors, to share information about medical genetics, to sponsor important research and much more. To learn more and support the ACMGF mission to create "Better Health through Genetics", please contact Nicole O. Bell, ACMG Foundation Manager, at [email protected] or (301) 718-9604 or visit acmgfoundation.org.